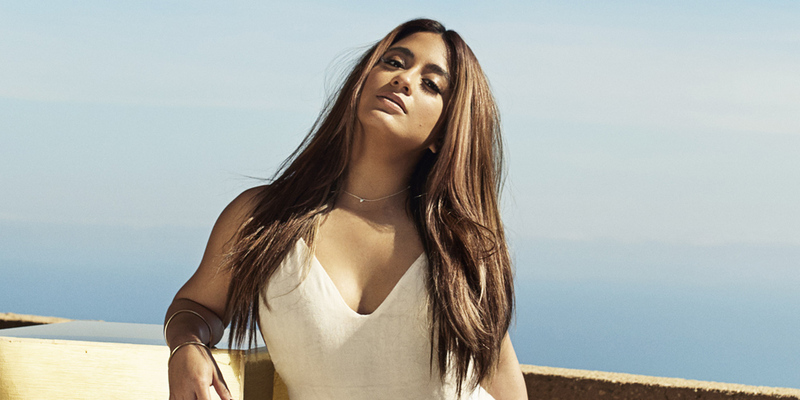 Today, Fifth Harmony member Ally Brooke has dropped her first official single titled “Low Key” featuring the rap legend Tyga. And this track arrives with a music video. “Low Key” is a smooth R&B track that has some pop elements to it. “I see you looking at my body very closely. But there’s a lot of things about me that you don’t see. You know we could take it fast or take it slowly. We could fly out to Ibiza and get cosy”, Brooke sings. The visual opens with Brooke in the dance studio where she explains to her friend that her dance partner is “just a friend”. As the song begins, the singer attempts to disguise a “low key” relationship with her dance partner. Throughout the music video, there are several choreographies and Brooke shows off her amazing dance moves. Tyga then finally appears and delivers his iconic rap verses that accompany the instrumentation perfectly. “My manager [Charles] Chavez calls me and he’s like, ‘Ally, I found this record. I just listened to it, and it’s incredible…if we can get it for you, it’s going to be your single’. I was like, ‘Oh my gosh, that’s amazing, let me hear it’. So he played it for me the next day, and as soon as I got done with the first listen, I was like, ‘Wow’. It was a pretty magical moment where I felt, ‘This is it, I found her. I found the one’. “I’ve been in the studio for months and months, a long time, just trying to find the right record, and the day is finally here. We are so happy and really just love it and it feels like me, and that is what matters”. Brooke has also said in another statement: “People never really got to see to the true me. Now just being able to have my own freedom of being an artist is the most incredible feeling in the world”. Make sure to check out her brand new music video below.